This is a zine dedicated to black metal influenced music darkwave, neo-industrial, neo-folk,funeral doom, and doom metal with a blackened edge , for more info contact hatredmeanswar@yahoo.com, check out the new zine http://hatredmeanswar2.blogspot.com which contains alot of material originally presented here. The Cold View are a 1 man band from Germany that has been featured before in this zine and plays a mixture of ambient, drone and funeral doom metal and this is a review of his 2014 album "Wires Of Woe, Ways of Waste" which was released by Endless Winter. Harsh noises and drones start off the album along with a mixture of growls and screams which also gives the music a black metal feeling and after awhile synths find their way into the music and the recording also has an experimental and avant garde edge along with all of the songs being very long and epic in length. Guitars are mostly background noises that have no rhythm or emotion to them and you can alos hear a small amount of acoustic guitars in the music at times and they bring a more ritualistic feeling to the recording and on the second track the synths add in more elements of funeral doom and dark ambient. After awhile distorted yet melodic guitars leads find their way into the music which leads to the music sounding more metal along with some slow yet dark heavy rhythms being added onto the recording and the music gets more heavy and dirge like on the following track and the last song sees the album going for more of a dark and atmospheric ambient direction while still having a funeral doom metal sound. The Cold View bring in a more heavier funeral doom metal with this recording along with the music being very atmospheric and experimental with elements of avant garde, drone and ambient, the production has a very dark, raw and heavy sound while the lyrics are a concept album dealing with the alienation from the natural world, the loss of identity that comes along with the replacement of ideal values with an technocratic and material culture. 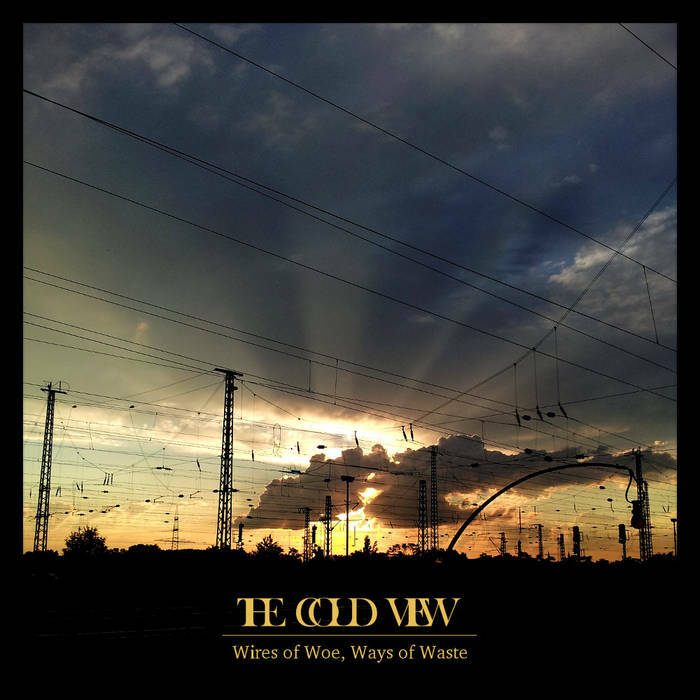 In my opinion this is another great sounding recording from The Cold View and if you are a fan of drone and funeral doom metal, you should check out this album. RECOMMENDED TRACKS INCLUDE "Woe" and "Waste". 8 out of 10.